A new trend seems to have taken over the dog grooming universe, but has received a less than enthusiastic response from animal lovers all over the world. There have been many bizarre trends when it comes to grooming pets, but this time it involves decorating a specific area of a dog's anatomy. A lot of dog owners have now started to get their pooches' testicles painted in edible glitter. It has been seen as making a statement when flaunting the animal in shows or on walks. 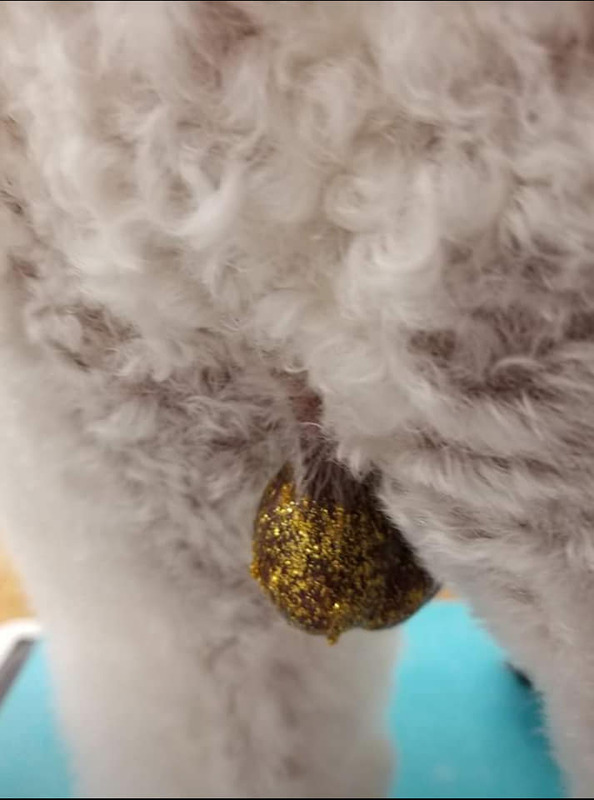 As per Distractify, the disturbing trend of owners having their pets' balls covered in glitter was first spotted by Royal Paws Pet Salon in High Point, North Carolina. But they weren't the only people to notice the trend. "I just thought I would let everybody know the latest creative grooming trend is glitter balls," the salon wrote in a Facebook post on Thursday. "Please know that I love doing creative but, I will NOT be doing this.  Posting for your entertainment." 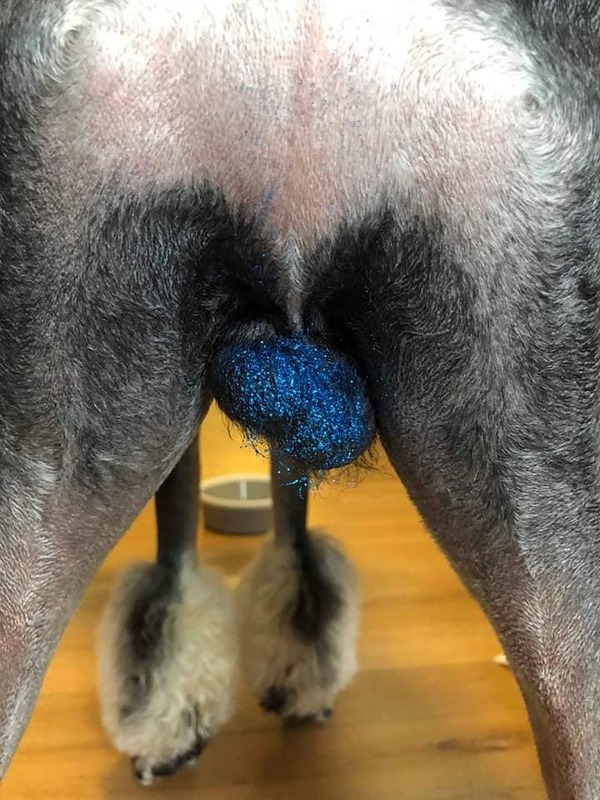 Other dog grooming pages like Groomery Foolery, a page for professional groomers, and have also shared some of the images they came across of dogs having their balls covered in edible glitter. For all concerned pooch lovers, the artistic effect is achieved by mixing edible glitter and corn syrup so it sticks to the surface of the animal. Quite a lot of pet lovers responded, and comments poured in on the posts as people reacted to the new trend and why an owner would even bother to consider the look. "I feel sorry for the dog," one person wrote online. "People will do anything to an animal and think it is funny. So bad." Another person felt like lecturing all such dog owners about how they should be treating their animals instead of subjecting them to the outrageous concept of glittered balls. "This does show the level of irresponsibility pet owners use that they [would] rather have their dogs testicles dipped in glitter then have them neutered to control the pet population," he wrote.  However, there were also users who described the trend as "too funny", while others said the fad could work well for Christmas to create "jingle balls" for the pet dogs.